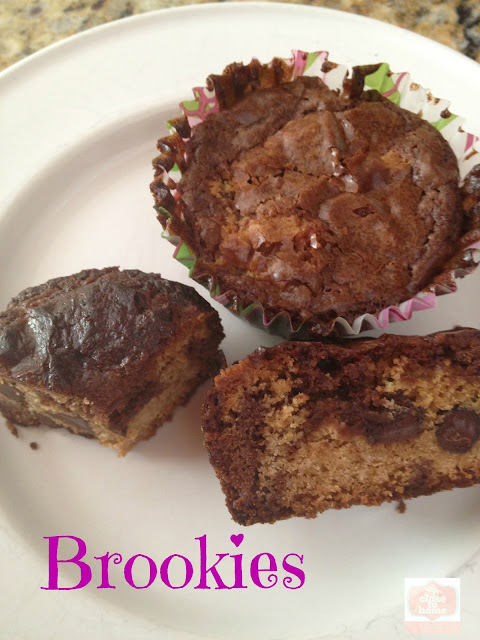 We have updated these Brookie cupcakes into a Brownie and Chocolate Chip Cookie Bar Recipe. Not only are they a little easier to make, but this cookies recipe came out great as a dessert bar. 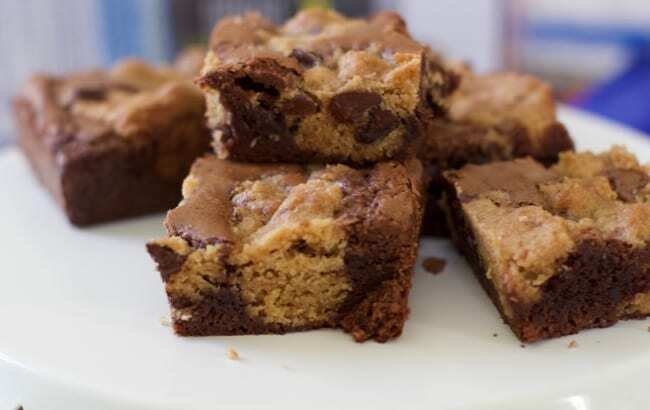 Another amazing cookie bar recipe you can’t miss are these Slutty Brownies. 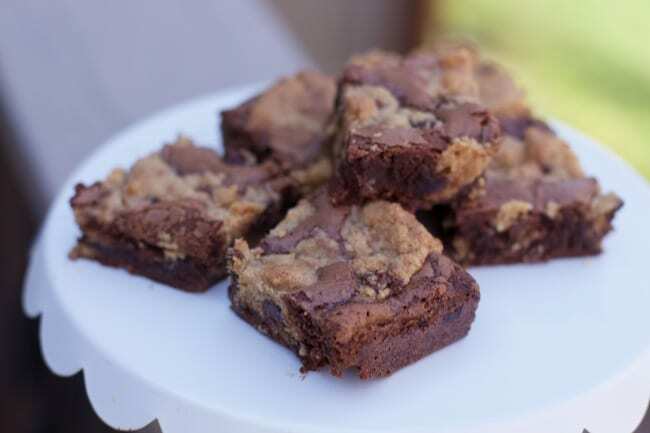 A fun treat to make and eat is a mixture of cookie and brownie together. This concoction is also known as a Brookie! 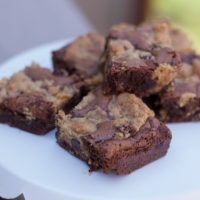 A brookie is a twist of two desserts into a cupcake shape or in this revised post, a cookie bar. This is a very easy cookie recipe and I would recommend to any beginner, intermediate, or expert baker. I actually made this recipe all by myself while my mom was out doing yard work. We love the fact that this is a short cut dessert idea, and it will feed a crowd. If you don’t want to make homemade brownies or chocolate chip cookies from scratch find your favorite box mixes. Prepare the brownie and chocolate chip cookie dough recipes per the box instructions. 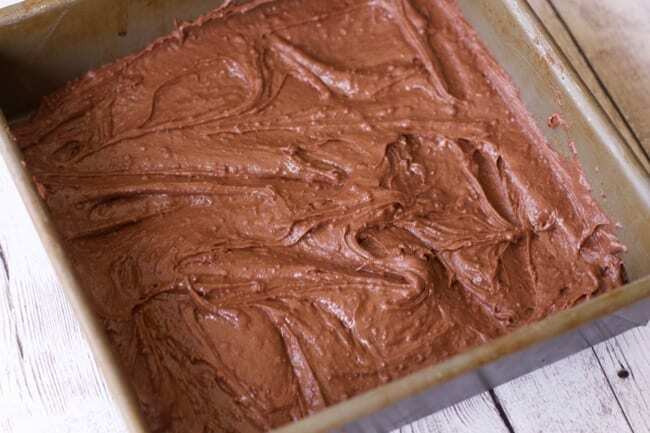 Add the brownie mix to the prepared baking pan. 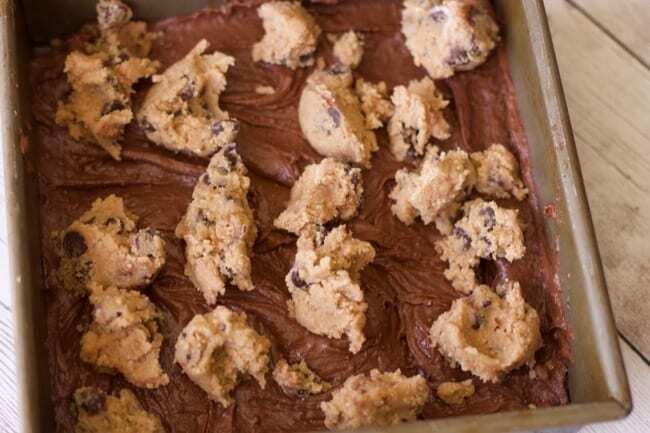 Dollop teaspoons of the chocolate chip cookie dough on top of the brownie batter. Bake and watch the amazing transformation as the brownie bakes around the cookie to create the perfect dessert in one. These dessert bars are perfect for a bake sale or when you need a dessert to feed a crowd. Cut them as big or as small depending on the need. Follow the directions on the box or recipe to make batter and dough. Fill a cupcake pan and with cupcake liners. We even sprayed the liners with some non-stick cooking spray just as a precaution. Pour a little bit of of brownie in the cupcake liners. Then get a tablespoon size clumps of cookie dough. and distribute them between the cupcakes holders. Pour the rest of the brownie batter over the brownies. Bake for 20-30 minutes. Switch the pans around half way though. 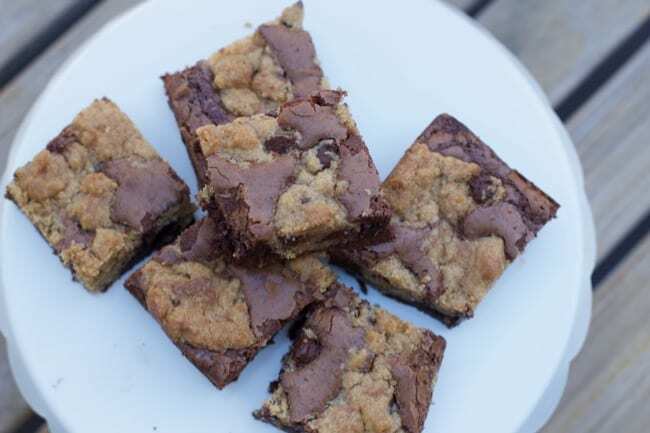 This Brookies recipe is fun to make and it is fun for the whole family to make and eat. Who will you enjoy these brookies with? Do you consider these a brownie, cookie, or cupcake. 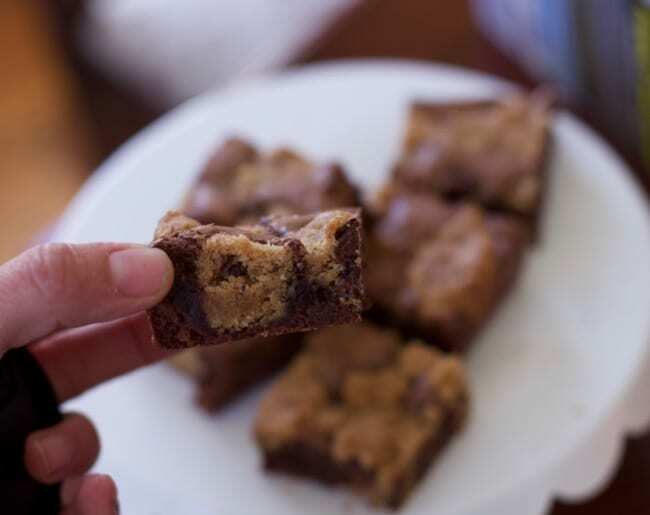 You can use your favorite chocolate chip cookie and brownie mixes instead of making them from scratch. Pin this for when you cant decide whether you want brownies or cookies for dessert! 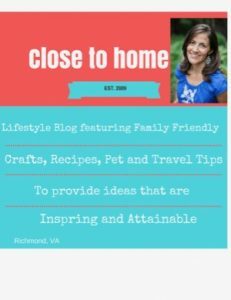 Caitlin and I have decided to partner with a community of bloggers called Kids Cook Monday. Together with this community we are trying to emphasize the importance of cooking with the entire family. The posts each Monday (we hope) will be anything from a favorite family recipe to family cooking videos to stories of the family dinner. I hope you will join us as we bring the family back into the kitchen! !